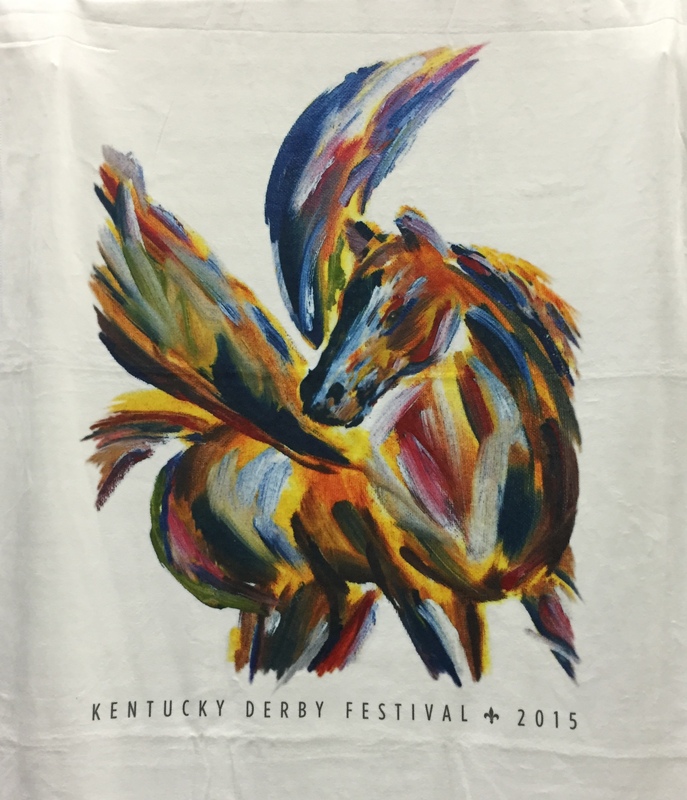 Saturday was the 141st running of the Kentucky Derby. There were a few favorites in the race but it ended up being a race between 3 horses – two horses from the same trainer, American Pharaoh and Dortmund, and one with a seasoned jockey, Gary Stevens. I have admired Gary since his role in “Seabiscuit” (one of my favorite movies). So when Gary was fighting to keep the lead, I was screaming at the TV, hoping that the 52-year old jockey could enjoy the winner’s circle again. He hung in there but American Pharaoh had more in the tank at the end of the race. But Gary can be proud. It was an exciting race. 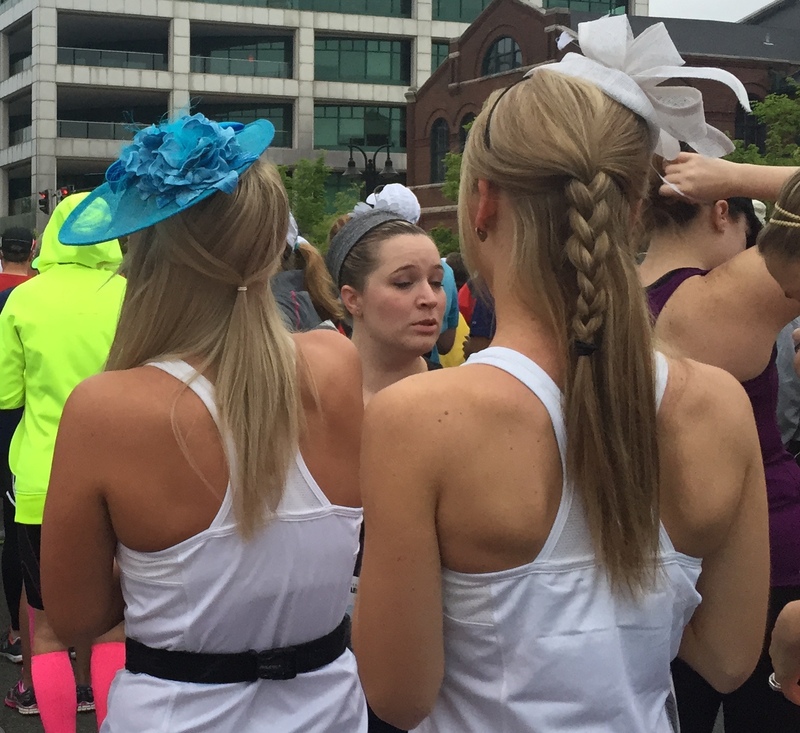 The Derby was one of the last events of a month-long festival in Louisville that included hot air balloon events, a beerfest, a winefest, a steamboat race, a bed race, a parade, the Tour de Lou bike event, and a full and half marathon. The marathon course included a lap through the infield of Churchill Downs. How could I pass that up? I signed up for the half marathon (also known as the miniMarathon). Of all the half marathon races that I have run so far this year, I have to say that this is my favorite. That is one big bat! 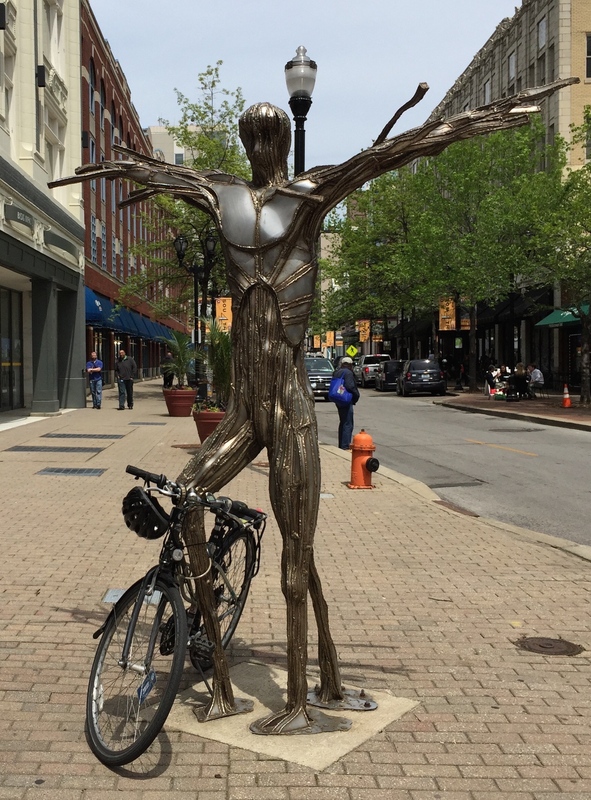 I arrived in Louisville two days before the race so I had time to wander around a bit. There was plenty to see within walking distance of my hotel. 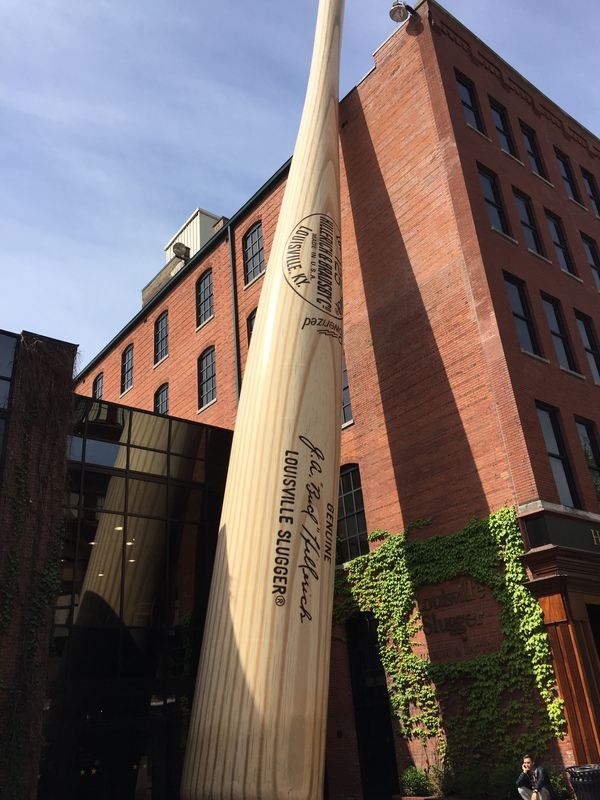 I visited the Louisville Slugger Museum and Factory. I am not a baseball fan (I like rugby) but it was interesting to see how the bats are made. (FYI – the major league players will be using pink bats on Mother’s Day.) At the end of the tour, they gave each of us a small bat as a souvenir. I stopped in the museum that included memorabilia from Jackie Robinson, Hank Aaron, Joe DiMaggio, and Derek Jeter plus the all-female baseball league made famous in “A League of Their Own”. They had a small collection of bats that were used by Mickey Mantle, Cal Ripken Jr, David Ortiz and Johnny Bench that you could hold (wearing gloves of course). I next headed down the street to the Evan Williams Bourbon Experience where I learned about the history of bourbon and how it is made including a tour of their artisanal distillery. I didn’t know this – one third of the world’s bourbon is made in Louisville! At the end of the tour, those of us of over 21 enjoyed a tasting of three different Evan Williams bourbons plus bourbon balls. I am not much of a drinker; I enjoyed the bourbon balls more than anything. Louisville hands down wins the prize for the best urban street art. From the Gallopalooza horses to the bike rack/sculptures to the tree protectors, I was taking more photos than I thought my cell phone could handle. I didn’t want to get sidetracked during the race on Saturday so I tried to get all the pictures that I could. The miniMarathon was a fun race. The course was relatively flat and I was able to enjoy the beautiful architecture of the old buildings. We didn’t have the best weather. Although it was dry when we started, by Mile 9 it was starting to rain. Kentucky Derby runners in their hats! Women usually get all dressed up for the Kentucky Derby. 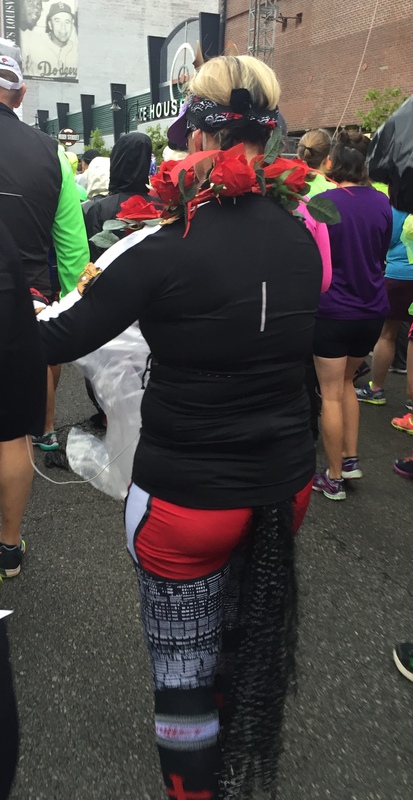 Some of the runners dressed up for the race too. I saw two young women in fancy hats and one woman who was dressed as a jockey on a horse complete with a tail! I can’t imagine how her outfit fared in the wet weather. I think running with a water soaked tail would weigh you down. One of the things that runners do that really annoys me is spitting. I don’t understand why people have to do that. Around Mile 6 I came up alongside a woman just as she spit. It landed on my shoe. I looked at her but she never apologized for doing it. If my shoes hadn’t gotten soaked later in the race, I would have left them behind in Louisville. 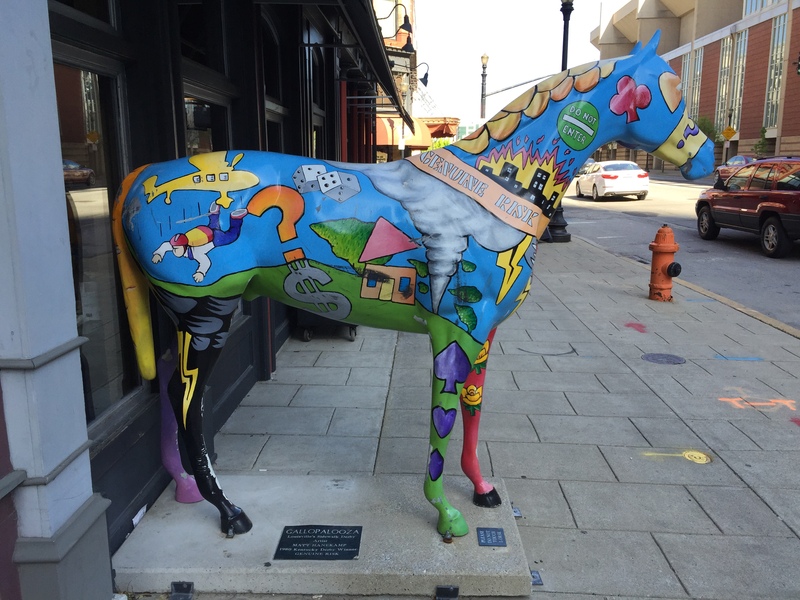 I saw a few horses being exercised (or breezing) while I was running through Churchill Downs but probably none of the ones entered in the Derby. I had heard on the news that most of the Derby horses were exercised the day before; the trainers didn’t want to run them in the rain. As we headed back downtown, we ran down 3rd Street, past the beautiful 19th Century mansions in the Old Louisville historic district and the University of Louisville campus. It was raining pretty steadily at this time. I tried to avoid the puddles but despite my best efforts, I seemed to hit them all and my shoes were soaked. Each step was more and more uncomfortably wet. As I approached the finish line, I remembered what Meb did at the end of the Boston Marathon where he grabbed the hand of another runner and together they crossed the finish with their arms raised. I decided that would be a fun thing to do. I spotted a runner ahead of me and sprinted to catch up to her. I told her “Let’s pull a Meb!” I don’t think she really understood what I said at first. When I grabbed her hand and raised her hand, she knew. We crossed the finish with our hands in the air. (In case you are wondering, I had to do it with my left arm.) I could tell that the photographers were snapping away. It was a spontaneous act but it was fun. I hope the woman thought so too. Back at the hotel, I rode the elevator with another runner who was also soaked from the rain. She pointed to her shoes. She said she had taped the toes with duct tape and it helped keep her feet dry. I am definitely trying that the next time I have to run in the rain. I hate wet feet. 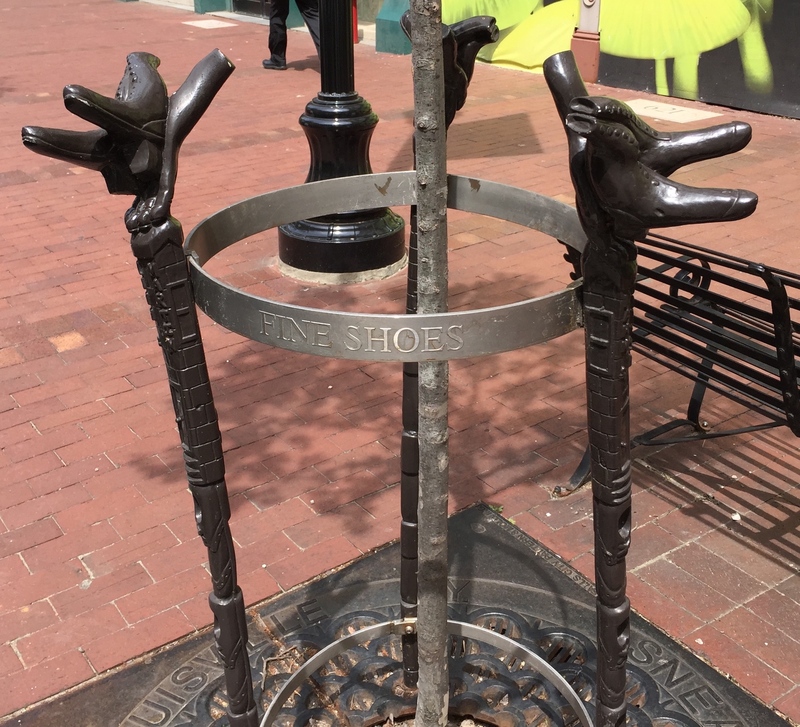 Come to think of it – I should duct tape my shoes in case someone spits on them again. 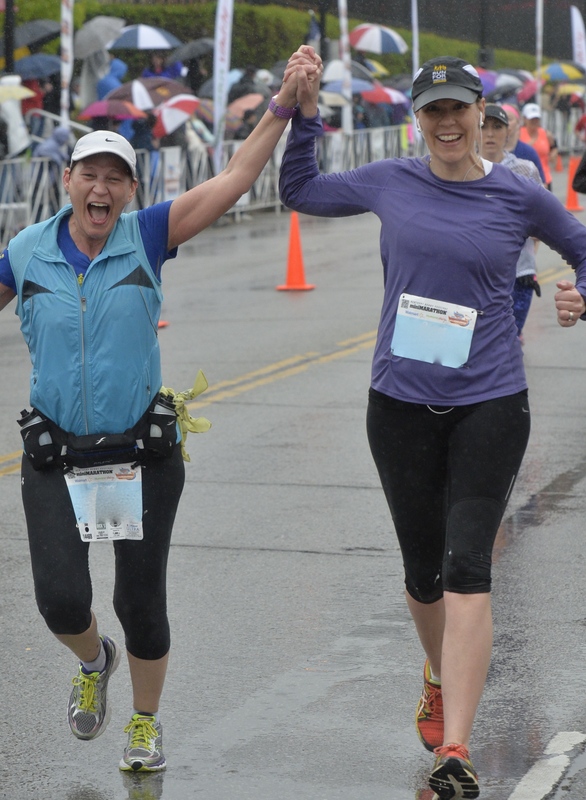 Despite the rain, I really enjoyed Louisville and the miniMarathon. The people there are incredibly friendly and polite. I would definitely run this race again. I would love to go back with my husband and do the bourbon tour. 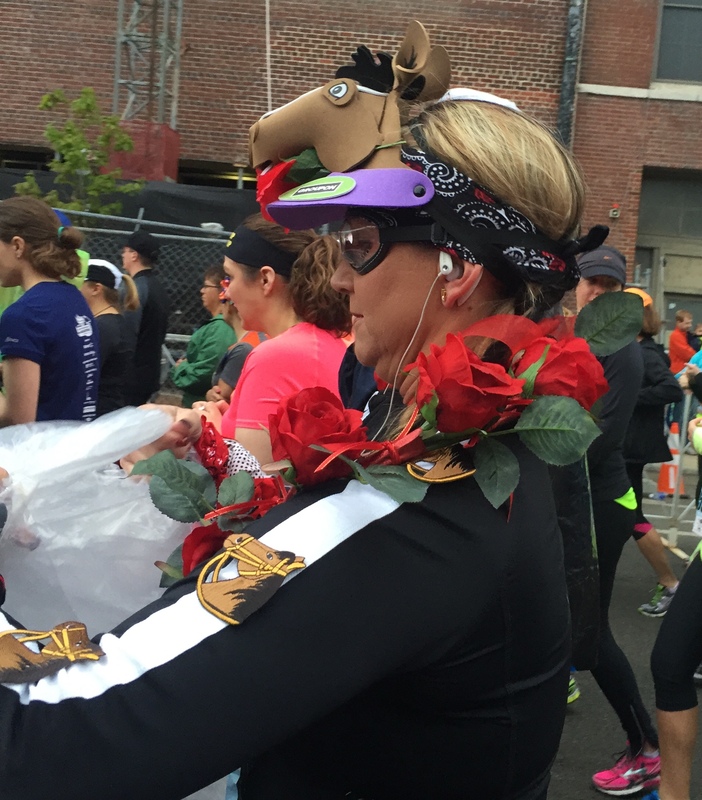 Louisville has another interesting race called the Urban Bourbon Half Marathon in October. I have to think about that one. 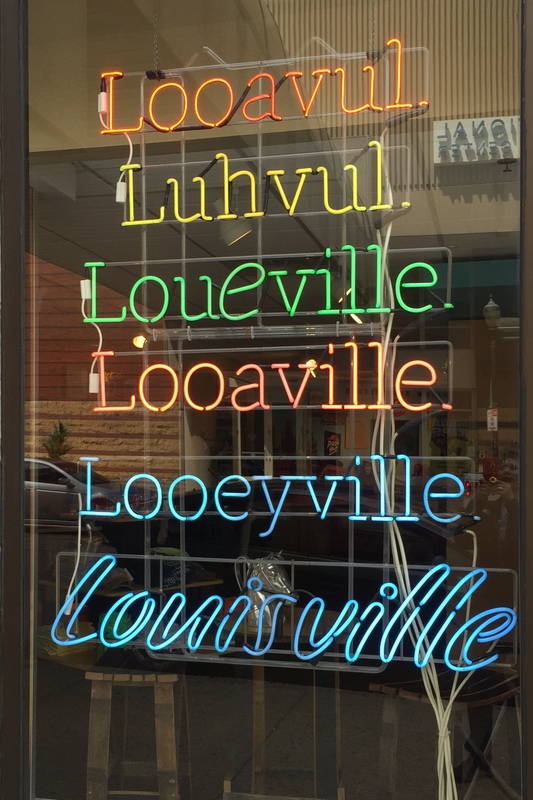 Maybe by then I can learn how to pronounce Louisville like a native!